Welcome to the Canada’s home of the Free Daily Spin for $1,000,000. In addition to enjoying a wide selection of online casino games, real money players at CanPlay Casino also have the opportunity to spin our Million Dollar Slot every day absolutely free. Sign-up for CanPlay Casino and you will only be minutes away from trying your luck at becoming Canada’s next millionaire. 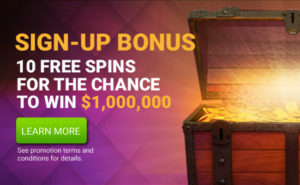 If having a daily free chance to win $1,000,000 isn’t enough, as part of your sign up bonus, you will also receive an additional 10 free spins and up to $1,000 in bonuses on your first three deposits. PROMOTION PERIOD: The CanPlay Casino Free Daily Spin for $1,000,000 Promotion (the “Promotion”) begins on May 15th, 2018 at 12:00 a.m. Eastern Time (“ET”) and ends December 31st, 2019 at 11:59:59 p.m. ET (the “Promotion Period”). ELIGIBILITY: The Promotion is open to individuals who are physically located in Canada at the time of entry and at the time of any Promotion play. Participants must be old enough to successfully establish a CanPlay Casino real money account at the time of any promotion play. 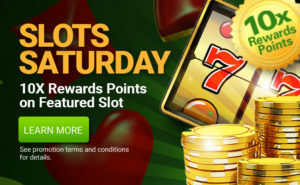 Participants must have a valid CanPlay Casino account (an “Account”) to enter the Promotion. 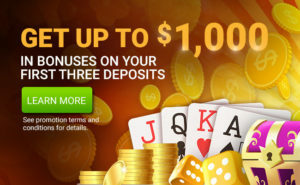 To register for an Account, visit CanPlay Casino (the “Websites”). Promotion is not open to employees, officers, or directors, or to members of the immediate family or household of any employee, officer, or director of CanPlay Casino (“Sponsor”) or SCA Promotions, Inc. (“SCA”), or any of their parents, subsidiaries, affiliates, dealers, retailers, resellers, or any advertising or promotion agencies involved in this Promotion. Promotion is subject to all applicable laws. Void where prohibited. HOW TO ENTER: During the Promotion Period, a participant will receive his/her first opportunity to spin the Promotion promotional device for a chance to win a prize upon completing the Account registration process. Upon completing the Account registration process, the Participant will be instructed how to access the promotional device being used for the Promotion. Participants who spin the Promotion promotional device for the first time following Account registration will be exempt from any Account deposit requirements in order to be eligible for the Grand Prize (as defined below). For all spins following the initial spin, participants must have deposited at least $50.00 into their Account during the last 30 days and have at least a $10 cash balance. Participants do not need to spend their Account cash balance at the Website in order to be eligible to win the Grand Prize. After their initial spin, participants can spin the Promotion promotional device one (1) time each day that they log into their Account on the Website during the Promotion Period provided they have met the deposit requirements. Limit one (1) spin per participant per day during the Promotion Period. For purposes of these Official Rules, a day is defined as any twenty-four (24) hour period during the Promotion Period beginning at 12:00 a.m. ET and ending at 11:59:59 p.m. ET. Once a participant has spun the promotional device, she/he will be informed immediately following the spin if she/he has won a prize, subject to verification of eligibility. If a participant does not receive a message that she/he has won a prize immediately following the spin, such participant is not a winner. If a participant is notified that she/he is a winner, she/he must comply with all conditions of these Official Rules and winning is contingent on fulfilling all requirements. By entering the Promotion, participants accept and agree to comply with and abide by these Official Rules and the decisions of Sponsor and SCA, which shall be final and binding in all respects. Participation in the Promotion is also governed by the CanPlay Casino Terms and Conditions (the “Terms”) which are located at www.canplaycasino.com/terms-and-conditions. By entering the Promotion, participants accept and agree to comply with and abide by the Terms. The Terms are hereby incorporated in their entirety into these Official Rules by reference. In case of a conflict between the Terms and the Official Rules, the Official Rules shall govern. Participation in this Promotion does not constitute participation in any other promotion, contest or sweepstakes conducted by Sponsor or SCA. Entry by any other individual or any entity, and/or originating at any other website or e-mail address, including, but not limited to, commercial promotion subscription notification and/or entering service sites, will be declared invalid and disqualified for this Promotion. The use of any device to automate the entry process is prohibited and may lead to disqualification. One (1) Grand Prize is available and may be awarded to one (1) winner. The Grand Prize is a $1,000,000.00 (the “Grand Prize”) 40 year annuity which will be paid in 40 equal installments over 40 years. There is no guarantee that the GRAND prize will be awarded. Multiple Secondary Prizes are available and will be awarded in the form of CanPlay Casino Bonus Dollars (“Bonus Dollars”) which may be used on the Website (the “Secondary Prizes”). These Bonus Dollars will be awarded in denominations of $1, 00, $5.00, $25.00, $100.00 and $1,000.00. Bonus Dollars cannot be used on any website other than the Website. Bonus Dollars must be played thirty (30) times on the Website before a participant is allowed to cash out the Bonus Dollars from the Website. DRAWING AND WINNER NOTIFICATION/ODDS: Before the beginning of the Promotion Period, SCA will randomly determine prize determination numbers associated with the Grand Prize and Secondary Prizes. At the time a participant spins the promotional device, the promotional device will randomly generate one (1) number associated with the participant’s spin. If the number randomly generated by the promotional device at the time of a participant’s spin matches the numbers associated a prize identically and in order, the participant will be a potential winner of the prize associated with that number, as applicable, subject to verification of eligibility and compliance with these Official Rules. Any potential Grand Prize and Secondary Prize winners will be notified immediately on the Website following their spin and will be provided with instructions on how to verify eligibility and claim the prize. A maximum of one (1) Grand Prize may be awarded as set forth in these Official Rules. The odds of winning the Grand Prize are 1:100,000,000. The odds of winning the Secondary Prizes is dependent on the amount of the Bonus Dollars prize and whether the Promotion spin occurs in the first play after an Account is established (new player) on the Website or whether the Promotion spin is made by a returning player (returning player). For $1.00 in Bonus Dollars, a new player has odds of 0 and a returning player has odds of 1:10. For $5.00 in Bonus Dollars, a new player has odds of 1:1.0011 and a returning player has odds of 1:200. For $25.00 in Bonus Dollars, a new player has odds of 1:2,000 and a returning player has odds of 1:2,000. For $100.00 in Bonus Dollars, a new player has odds of 1:20,000 and a returning player has odds of 1:20,000. For $1,000.00 in Bonus Dollars, a new player has odds of 1:200,000 and a returning player has odds of 1:200,000. ALL POTENTIAL WINNERS ARE SUBJECT TO VERIFICATION OF ELIGIBILITY AND COMPLIANCE BY SPONSOR AND SCA, WHOSE DECISIONS ARE FINAL AND BINDING. A “SCREEN SHOT” OF THE WEBSITE IS NOT PROOF OR EVIDENCE OF A WINNING SPIN AND/OR PRIZE. A PARTICIPANT IS NOT A WINNER OF ANY PRIZE, EVEN IF THE WEBSITE SHOULD SO INDICATE, UNLESS AND UNTIL SAID PARTICIPANT’S ELIGIBILITY AND THE POTENTIAL WINNING SPIN HAS BEEN VERIFIED AND SAID PARTICIPANT HAS BEEN NOTIFIED THAT VERIFICATION IS COMPLETE. SPONSOR WILL NOT ACCEPT SCREEN SHOTS OR OTHER EVIDENCE OF WINNING IN LIEU OF SPONSOR’S VALIDATION PROCESS. ANY SPIN THAT OCCURS AFTER THE WEBSITE HAS FAILED FOR ANY REASON IS DEEMED A DEFECTIVE PLAY AND IS VOID AND WILL NOT BE HONORED. GENERAL PRIZE CONDITIONS: Prize winners shall be solely responsible for all federal, state and/or local taxes, and the reporting consequences thereof, and for any other fees or costs associated with the applicable prize. Any potential prize winners of a prize valued at $600 or more must execute and have notarized an Affidavit of Eligibility, a Liability Release, and a Publicity Release (collectively, “Prize Claim Documents”). Failure to sign and return the Prize Claim Documents, when requested, may result in disqualification in the discretion of Sponsor or SCA. If the Grand Prize is awarded, Sponsor will request winner to execute a Publicity Release which will constitute Grand Prize winner’s permission for Sponsor and its designees to use prize winner’s name, photograph, likeness, voice, biographical information, statements and address (city and state) for advertising and/or publicity purposes worldwide and in all forms of media now known or hereafter developed, in perpetuity, without further compensation. Acceptance of any of the Secondary Prizes constitutes the Secondary Prize winner’s permission for Sponsor and its designees to use Secondary Prize winner’s name, photograph, likeness, voice, biographical information, statements and address (city and state) for advertising and/or publicity purposes worldwide and in all forms of media now known or hereafter developed, in perpetuity, without further compensation. Participants agree that the Sponsor, SCA and each of their respective parents, subsidiaries, affiliates, distributors, retailers, sales representatives, advertising and promotion agencies and each of their officers, directors, and employees (A) shall not be responsible or liable for, and are hereby released from, any and all costs, injuries, losses or damages of any kind, including, without limitation, death and bodily injury, due in whole or in part, directly or indirectly, to participation in the Promotion or any Promotion-related activity, or from Participants’ acceptance, receipt, possession and/or use or misuse of any prize, and (B) have not made any warranty, representation or guarantee express or implied, in fact or in law, with respect to any prize, including, without limitation, to such prize’s quality or fitness for a particular purpose. The Sponsor and SCA shall not be responsible for incorrect or inaccurate entry information whether caused by Internet users or by any of the equipment or programming associated with or utilized in the Promotion or by any technical or human error which may occur in the processing of the entries in the Promotion. The Sponsor and SCA assume no responsibility or liability for any error, omission, interruption, deletion, theft or destruction, or unauthorized access to, or alteration of entries. In the event of a dispute over the identity of a participant, entry will be deemed completed by the authorized account holder of the email address associated with the participant’s Website account. “Authorized account holder” is defined as the natural person who is assigned to an email address by an Internet access provider, online service provider, wireless carrier, or other organization (e.g., business, educational institution, etc.) that is responsible for assigning email addresses for the domain associated with the submitted email address. Sponsor and SCA assume no responsibility for any damage to a participant’s or any other person’s computer system or wireless phone which is occasioned by participating in the Promotion, or for any computer system, phone line, hardware, software or program malfunctions, or other errors, failures, delayed computer transmissions or network connections that are human or technical in nature. Without limiting the generality of the foregoing, Sponsor is not responsible for incomplete, illegible, misdirected, misprinted, late, lost, damaged, stolen, or postage-due prize notifications; or for lost, interrupted, inaccessible or unavailable networks, servers, satellites, Internet service providers, websites, or other connections; or for miscommunications, failed, jumbled, scrambled, delayed, or misdirected computer, telephone or cable transmissions; or for any technical malfunctions, failures, difficulties or other errors of any kind or nature; or for the incorrect or inaccurate capture of information, or the failure to capture any information. Sponsor reserves the right in its sole discretion to disqualify any individual who is found to be tampering with the entry process or the operation of the Promotion, to be acting in violation of these Official Rules, or to be acting in an unsportsmanlike or disruptive manner, or with the intent to disrupt or undermine the legitimate operation of the Promotion, or to annoy, abuse, threaten or harass any other person, and Sponsor reserves the right to seek damages and other remedies from any such person to the fullest extent permitted by law. No mechanically reproduced, illegible, incomplete, forged, software-generated or other automated multiple entries will be accepted. Sponsor reserves the right to modify, extend, suspend, or terminate the Promotion if it determines, in its sole discretion, that the Promotion is technically impaired or corrupted or that fraud or technical problems, failures or malfunctions or other causes beyond Sponsor’s control have destroyed or severely undermined or to any degree impaired the integrity, administration, security, proper play and/or feasibility of the Promotion as contemplated herein. These Official Rules cannot be modified or amended in any way except in a written document issued by a duly authorized representative of Sponsor. The invalidity or unenforceability of any provision of these Official Rules shall not affect the validity or enforceability of any other provision. In the event that any provision is determined to be invalid or otherwise unenforceable or illegal, these Official Rules shall otherwise remain in effect and shall be construed in accordance with their terms as if the invalid or illegal provision were not contained herein.